This week was a first for me in the studio – I welcomed Letitia and Sara and their three triplets Aubree, Rosa-Lee and Gracie! 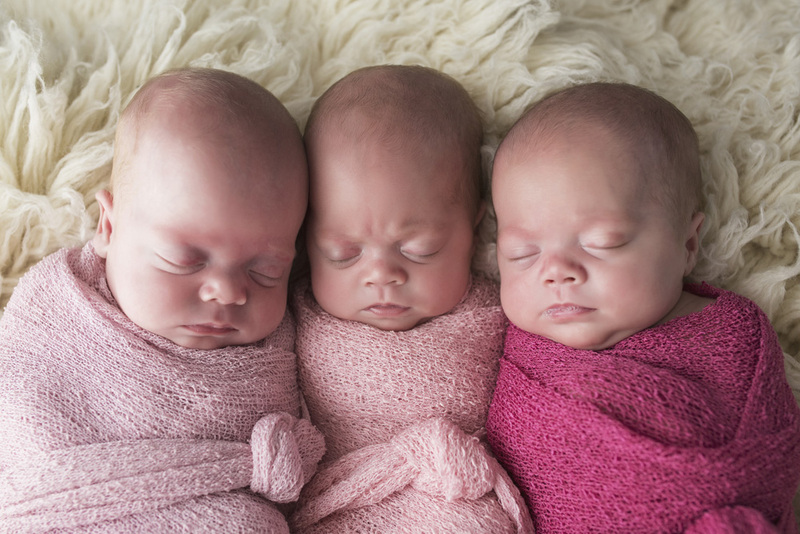 The girls were born prematurely at 26 weeks and thirteen weeks later were discharged from hospital. 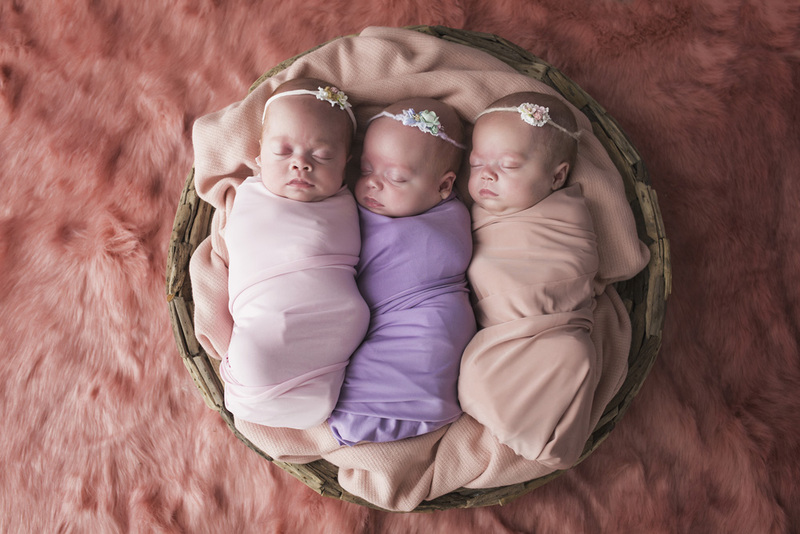 So when they visited me at the studio, they were technically only full-term babies – BUT, you could tell these cherubs had already experienced the world for a little while! Being older babies, I kept the girls wrapped for the majority of the session. 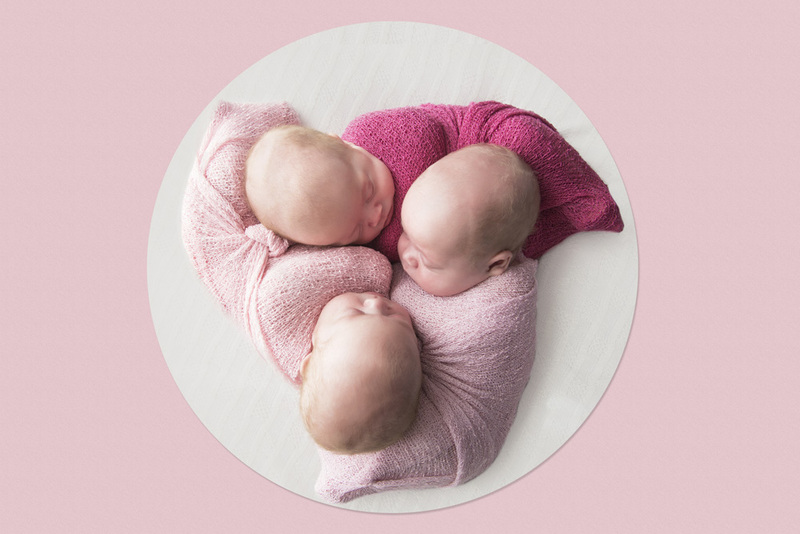 I find that older babies are a lot more settled when they are wrapped and their limbs contained in a swaddle-like arrangement! And being three of them, it was far easier to move and position them without limbs tangling everywhere!! Their sleep periods during the session were only brief (as older babies tend to be more wakeful, especially when they are being moved about and positioned) so I took advantage of their shut-eye and snapped while I could, capturing them all together, individually and also their delicate little features – eyelashes, toes, hands and lips. I’m pretty sure I used every scrap of pink fabric in my studio for this session, and we came out with some really beautiful shots of the girls.